The recent media frenzy about NCAA investigators asking questions about Auburn’s football program prompted the repeated chorus of “Auburn is the cheatingest bunch of cheaters in college football” from around the region. As we pointed out last year after Auburn was cleared in the Cam Newton investigation, Auburn is not a frequently punished cheater in the modern era. Auburn has not been found guilty of a major NCAA violation since 1993 – since the Eric Ramsey case at the end of the Pat Dye era. This website [https://web1.ncaa.org/LSDBi/exec/miSearch ] is the NCAA Major Penalty Infractions Database. 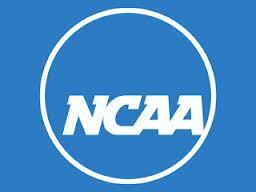 It is easily searchable and provides all the details of NCAA investigations and penalties. Since current high school seniors were born in 1995, we searched from 1995 to now, for all SEC football teams. The results are detailed below. So if you disagree with the data below, that is fine – just know that it is fact. It is not opinion or internet rumor or “I heard on the radio” garbage. These are the real cases where the NCAA has conducted investigations and found schools guilty. You can draw your own conclusions. You can download the list of NCCA Penalties for SEC teams 1995-current here. Be sure to click on the link at the end of the article and see the details. Don’t take my word for it – read the NCAA findings about the other SEC schools. Do not believe the radio and internet hype about Auburn cheating. this will only “prove” the bammer talking point of how we’ve got inside people with the NCAA who protect us no matter what. Oh, and the FBI, and the CIA, and the KGB…. UA is actually 10 years on probation. Don’t forget in ’09 it was 3 years. Whatever makes you sleep better. Auburn got away with mega payments to the Newton family. And Trooper is the money man. Your list is deceptive, btw. Redo the list according to football programs, not athletic programs. And nice piece of editing by choosing according to “todays high school seniors” what does that even mean. How bout the entire history of the individual football programs. But PAAAWWWWWLLLLL! Dem Awbarn cheaters is usin’ real facts and common sense. Make ’em stop PAAAAWWWWWLLLL. So, War Eagle Reader, I took your advice and looked it up for myself. And I understood why you started in 1995. There’s no need to go back in time and see where a University actually has a history in something. Auburn leads the SEC with 5 Major Infractions in it’s history. Auburn is also one of only 3 SEC schools to also be found guilty of both “Lack of of Institutional Control” AND “Unethical Conduct”. A designation they share with Ole Miss & Miss State. Your entire article is rubbish. Music City Dawg. Ha, mad much? Coming up short for 30 years is getting to you, calm down and step away for a bit. Anyone else find it weird that someone from ThugU is talking about AU’s penalties so far back in the past he was probably in Kindergarten at the time? Glass houses and all…..
What about aTm and Mizzou? Question from a data nerd: How many total number of games has each of the SEC teams been forced to vacate? Is that data available? Why this 1995 date? Does this “history” assist you with your point of view? Auburn University is number 3 on the NCAA webiste for their cheating past. The entire nation knows that Cam Newton was purchased. Cam’s dad admitted to shopping him to MSU for $180,000! He did not attend Auburn University for free. Click here (http://www.ncaagridirongab.com/2011/03/09/10-most-corrupt-ncaa-athletic-programs/) for actual history, not just post 1995. Lord have mercy this school and their twist on “history”. November 28, 2012 at 12:22 pm So, War Eagle Reader, I took your advice and looked it up for myself. And I understood why you started in 1995. There’s no need to go back in time and see where a University actually has a history in something. Since 2009, Auburn University has won 33% of all National Championships in college football! This is also an amazing stat! Just pick your date and Bam, any school can look great! We are so glad you enjoyed the facts. They are all true. We picked 1995 on purpose – because the college football recruits that will sign in February 2013 were born then. While you think it is arbitrary, it is important – kids know what they witness firsthand. In the lifetime of today’s high school recruits, the schools above are proven cheaters. Auburn is not. I understand that you won’t like that fact, but it is a fact. The NCAA disagrees with you about Cam Newton, and since they are judge and jury on this issue and you are just a random guy on the internet, their verdict matters and your opinion does not. And we wrote this for people like you Luke, who cannot seem to separate the reality of today in college football from how you want the world to be. The reality is that Auburn has not been found guilty of cheating since 1993. Eight other schools have been found guilty since then and Alabama has been found guilty three times. Here’s the top 10 all time list for those curious. (Not counting Cam either guys, we’re playing by OJ rules here. No conviction = no crime). Note: The count includes seasons not yet completed (i.e. USC 2012-2013).